I’ve heard the words so many times that they have become mundane to my ears. I grew up hearing these words. I read them in my little New Testament and saw them on cute posters in the Bible class room. I have seen them stitched on pillows and painted on walls. They have been ubiquitous in my Christian life. I regret that I have become anesthetized to their impact. Because they were scandalous when they were first uttered on that mountainside and they’re still revolutionary today. If you can imagine, Jesus had a pretty eclectic crowd following him as he began that famous speech — from leaders in society and religion to the outcasts and untouchables. And if Jesus were going to talk about blessing, they all knew who he would describe. Except instead of fulfilling their expectations, he turned them upside down. Because people thousands of years ago had a very similar idea of blessing as the one that I have now: I say I’m blessed when I feel like I’m blessed. Isn’t that the way we normally operate? When I get the job or pass the test or my bank account is full(ish) or my body feels young and healthy or I catch the break — then I will say that I am blessed. Which on one hand is completely appropriate. It’s a great thing to praise God for the good things in my life. I know that I have a whole lot more than I deserve and that much of what I have I didn’t earn. It’s a good thing to give credit to God and be thankful. But a concept of blessing that is based solely on things that change — like my possessions or my circumstances — is too limited and shallow. The words of Jesus in Matthew 5 point to so much more. Blessing can come my way even when I am mourning the loss of someone I love. Or when I feel spiritually empty and my spirit is poor. Or when the difficulties of life humble me. So God is not only blessing me when things are going my way. And blessing is not solely dependent on my material possessions or my immediate circumstances or how I happen to be feeling at the time. Blessing is not just about my belongings, but about what I am becoming. So even when I mourn, I can be blessed with the comfort of true community. And when my spirit is empty, I can realize the beauty of dependence on someone greater than myself. The blessing is not in my possessions or my situation, but rather in what God is making me into through them. Which means that even when I’m going through pain or heartache, that God can make me a better person even through that. I am blessed when I allow my heart to change. I am blessed when I allow my character to be affected. 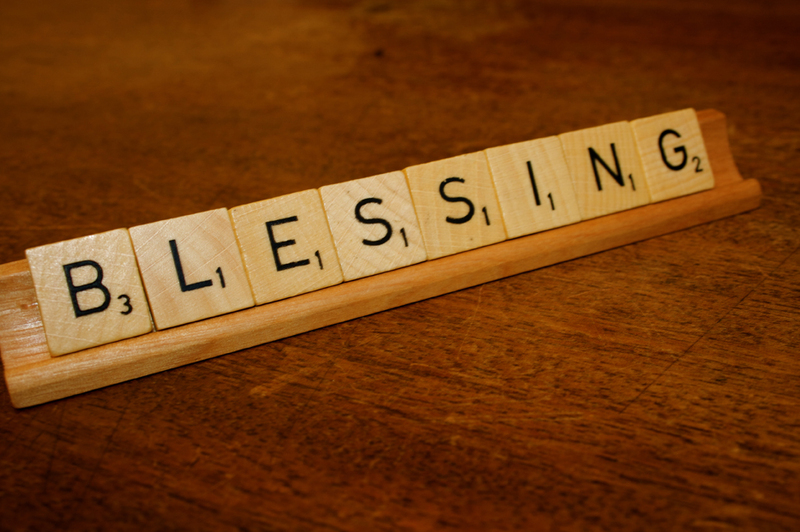 So today may you see the blessing in your life. May you see the world upside down. And may we all allow God to mold our hearts into something beautiful through our circumstances today — whether it brings joy or pain. This entry was posted in Ordinary Days and tagged Beattitudes, Blessings, Jesus, Paradox. Bookmark the permalink.